JMISCI publications are licensed under a Creative Commons Attribution-NonCommercial 4.0 International License. CrossRef is a non-profit, independent organization, which provides a number of services to the academic publishing community. CrossRef provides the type of Digital Object Identifier (DOI) which most publishers use to identify their published journal articles. 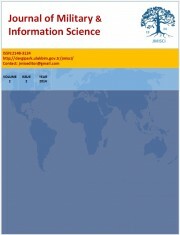 Any paper published by JMISCI is given by a unique DOI number. JMISCI uses iThenticate to detect instances of overlapping and similar text in submitted manuscripts, crosscheck is a multi-publisher initiative to screen published and submitted content for originality.